(EN) Around the studio, tattoo machines are being sterilized, sketches drawn, stencils printed, waivers signed as a Lil Uzi Vert song murmurs in the background. With his desk at the center of everything is Maxime Plescia-Büchi, proprietor of Sang Bleu. (EN) To describe Maxime as “multidisciplinary” is tragically reductive. During the interview he met with a new client, interviewed someone for a job, replaced three halogen light bulbs, put in a new order of tote bags, had lunch, and hand-drew the design for a massive tattoo of a pouncing lion—approaching each task with the ferocity of, well, a pouncing lion. (EN) The music we surround ourselves in our homes and workplaces help define and shape our personalities. 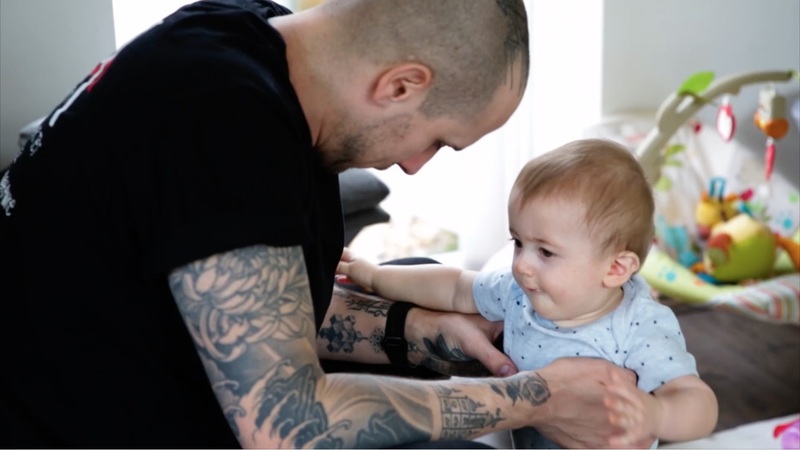 We’re happy that our collaboration with Sonos allows us to meet unique and inspiring individuals like Maxime, and explore the impact of music in their daily lives. 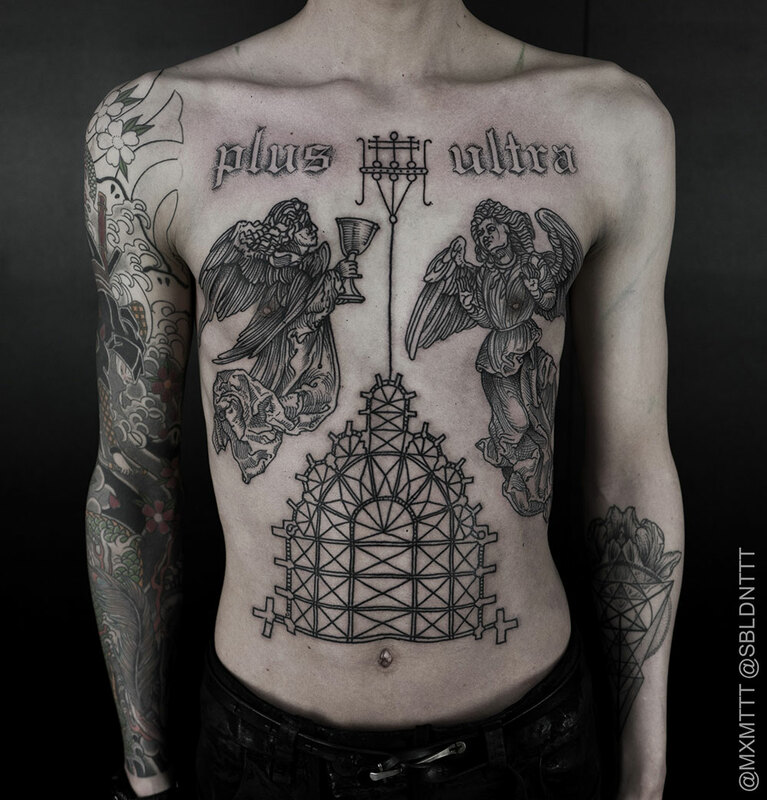 (EN) “Tattooing for me is simply pulling together all the things that I have interest in. Everyday in my work I apply things I learned in my studies in design, psychology, art, typography, business, and things I learned when I was a kid or from books,” he says while selecting another pen to accentuate the musculature of the lion he’s sketching, “Tattooing gives me an incredible sense of understanding why I did all these things. 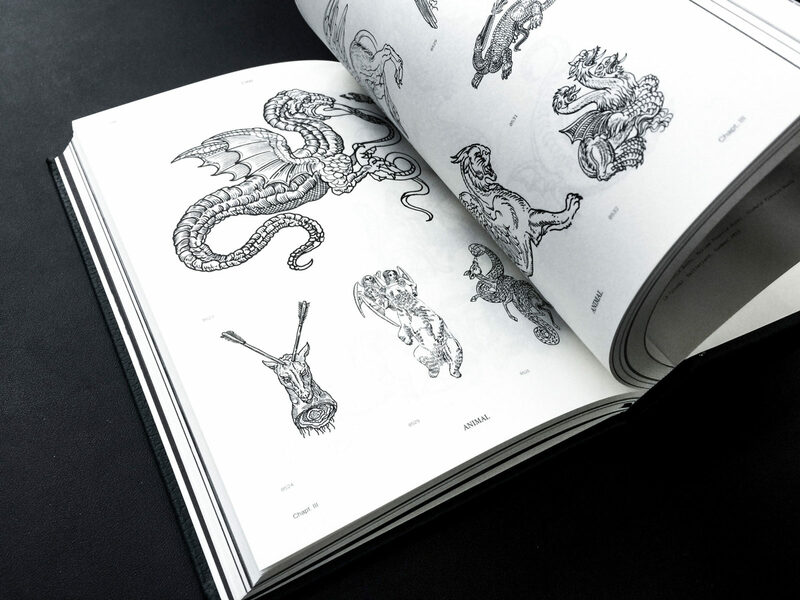 They can all come together under a profession that has a name I can define myself by more or less.” Maxime flitted between psychology, fine arts and graphic design until finally apprenticing under renowned Swiss tattoo artist Filip Leu in Maxime’s hometown of Lausanne, Switzerland. Somehow, that was the education that stuck the most for Maxime. (EN) But Maxime and Sang Bleu’s elusiveness for definition may explain his affinity for hip hop music, “Hip hop cannot only defined by its sound, like most other musical styles,” he says, “It’s defined only by who does it. 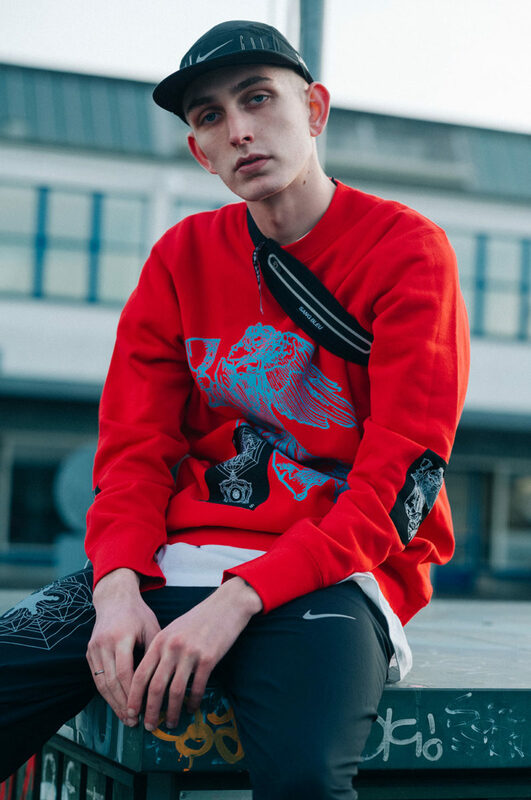 Identifying them purely by the music is metonymy.” Maxime’s first taste of subculture in the Swiss countryside was hip hop, which opened doors to graffiti, fashion and eventually tattooing, “It’s this definition of hip hop—as not only a music—that makes it very special. I’m still into rap and new things in rap, even though I don’t identify with 20-year-olds rapping about smoking weed. I still enjoy hearing it though.” A Post Malone track cuts through the studio. “Since we’re listening to music all day—basically 10 hours a day—we go through a lot of music. There’s always a lot of debate in the musical selection,” he says. “I listen to a lot of Drake, Future and I love Curren$y.” A signed portrait of Rick Ross hangs on the wall and Maxime has a tattoo homage to the ice cream cone on Gucci Mane’s face. 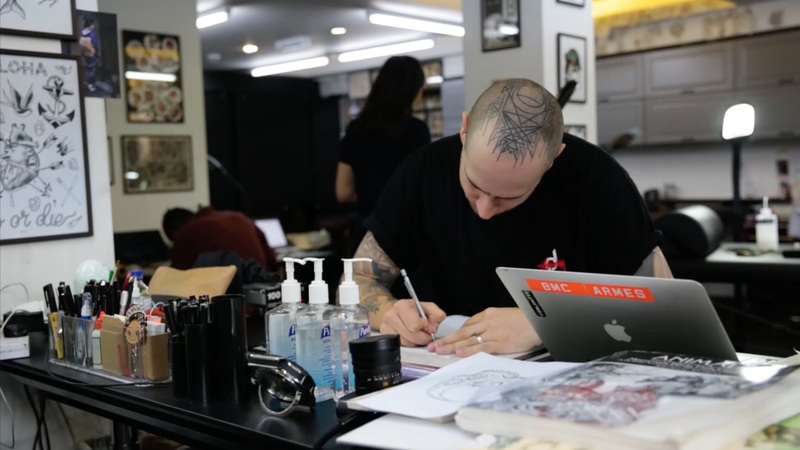 (EN) Tattoo parlors are more commonly associated with music and culture of the metal-end of the spectrum—the fascination with the morbid and body modification tend to go hand-in-hand—but Sang Bleu is a decidedly different studio. The studio is bright and airy, and there is USM furniture punctuating the space. 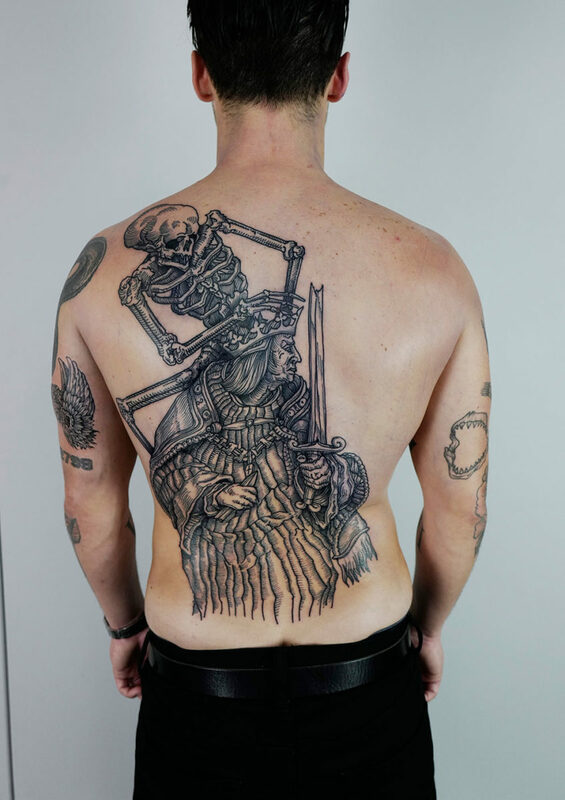 They’re at the forefront of a renaissance not only within tattoo culture, but culture on the whole, and Maxime keeps his eyes trained on this evolution. 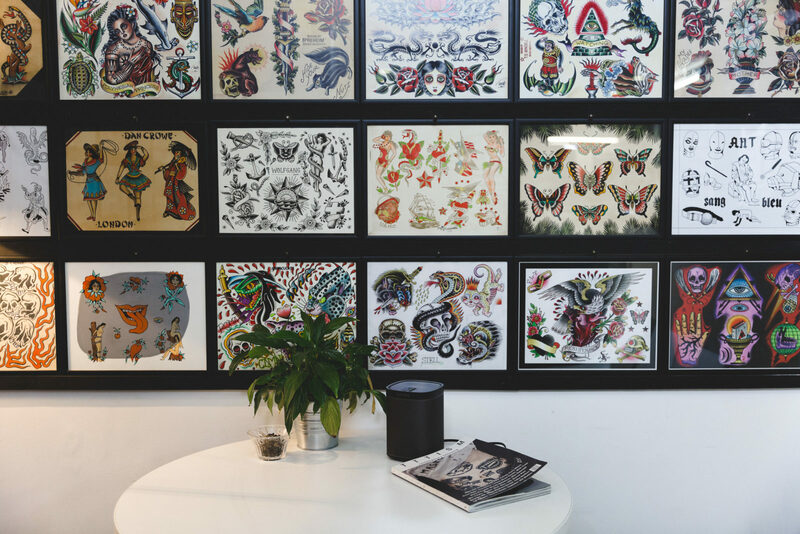 (EN) Maxime has a keen understanding of the tattoo game in the internet age, where Instagram acts as a portfolio, knowledge base and promotional vehicle for tattoo artists. 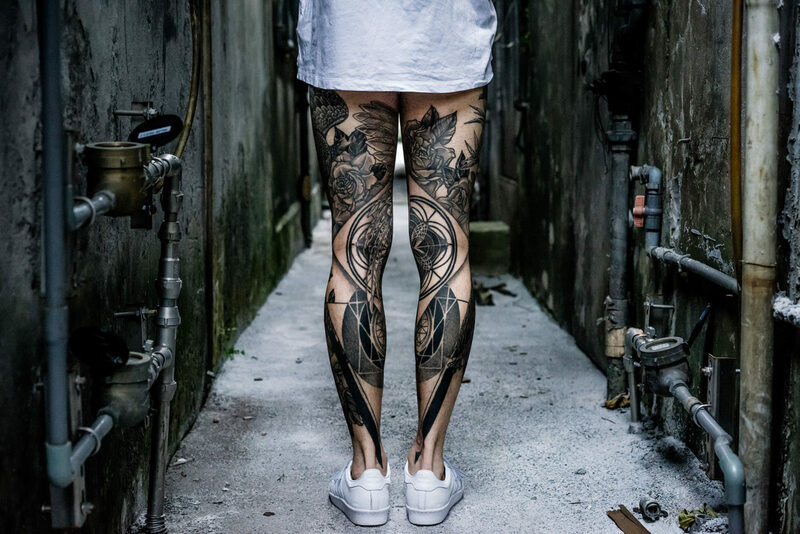 The Sang Bleu Instagram accounts have hundreds of thousands of followers each, showcasing the works of artists working in the studio and Maxime has to have several assistants helping him keep up with tattoo bookings. 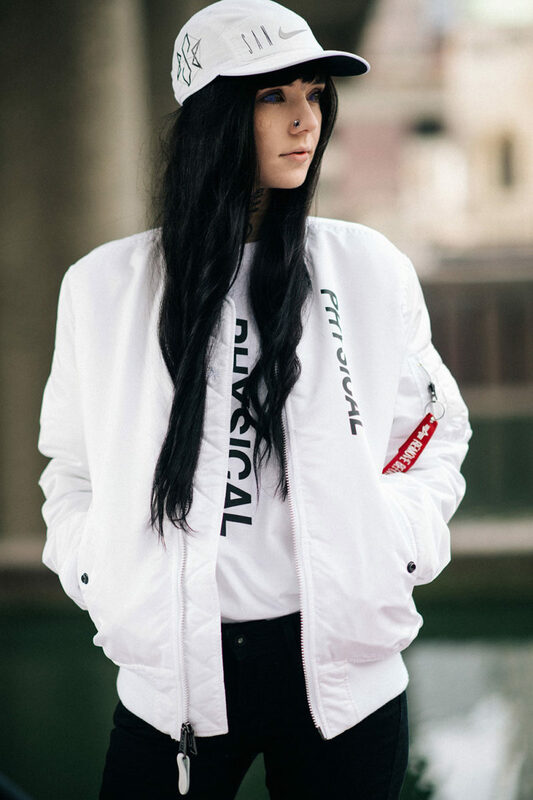 (EN) We’ve entered a period of time where people are discovering new ways to express their identities, free of national, religious or political influence. 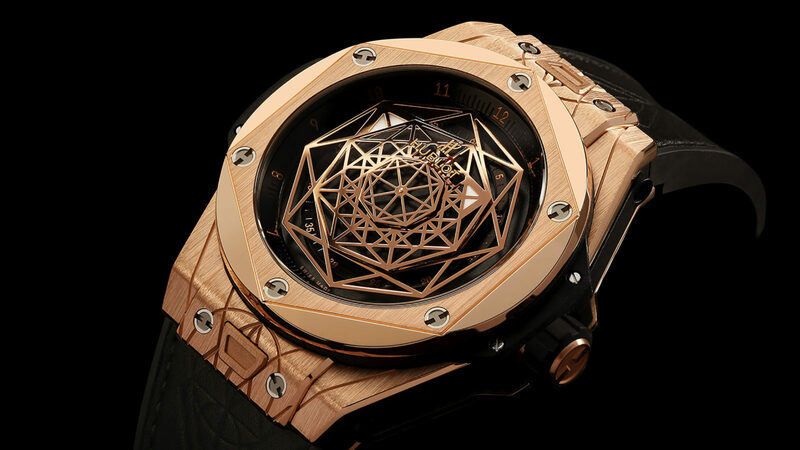 The internet has exploded culture and allowed individuals to collect the pieces they find fit, creating a new understanding of the self and of social groups. “A certain musical genre or clothing style is not enough to define a person anymore,” says Maxime, “People will dress differently for different days of the week just because they feel like it. Identifying with one group or culture doesn’t work anymore, and it stopped working in the ’80s or ’90s. If you try to define people by cultural practices then you will struggle. 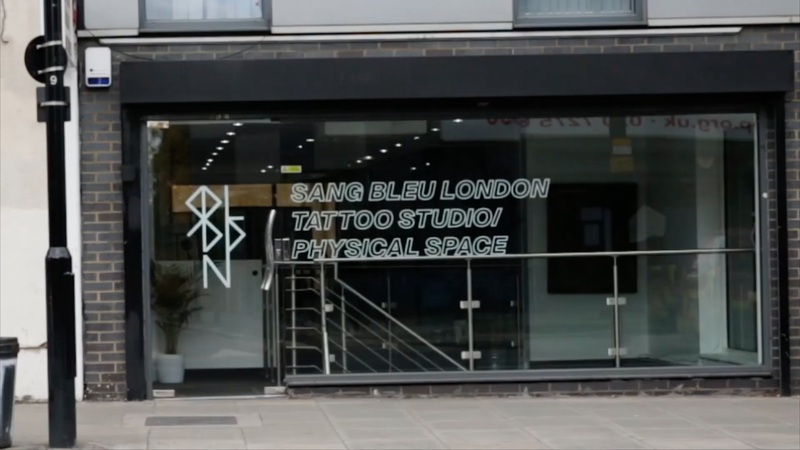 It will be a lot of different cultural practices.” This holistic interpretation of culture is what Maxime attempts to capture with Sang Bleu in its various forms and the momentum driving the entire project seems to be Maxime’s interests. It’s a massive undertaking, but it somehow seems to work.